Where so many try and fail this has such a rich blend of humour, suspense, the theft of a painting, a murder, a love story-well, more than one and a prison break and would you believe all of that is centred around our two main characters of the story? Monsieur Gustave H(Ralph Fiennes) & Zero Moustafa(Tony Revolori as the young Zero) (F. Murray Abraham as the older Zero). 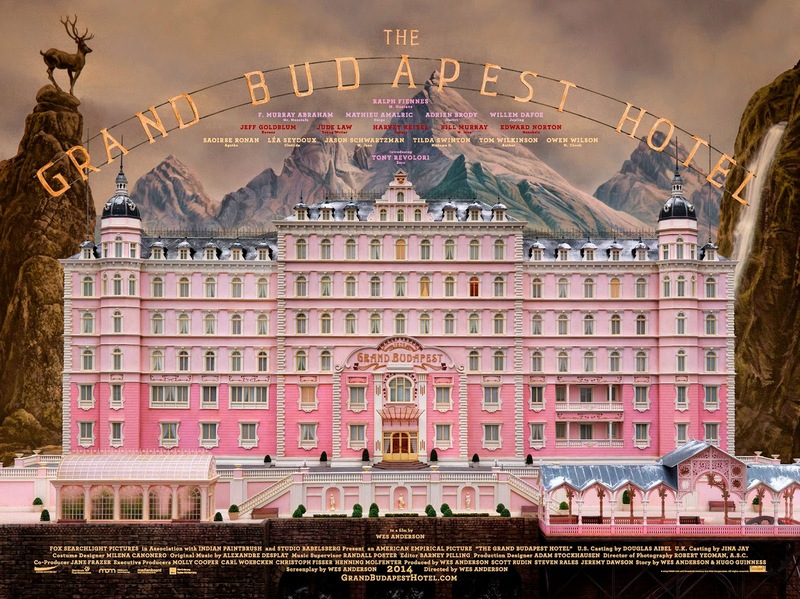 Amongst the richness of the cinematography is also the great characters and the wickedly way in which they speak and relate to one another, this is a very literate film that also has some of the most "Grand" hotels and scenery I have not seen for sometime. Very early on it feels as if Barton Fink(The Coen Brothers)have mixed with a Terry Gilliam(Brazil)film. 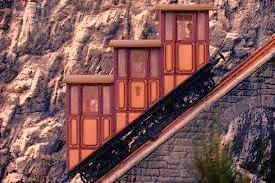 Here is a train one has to take to the hotel if you are not driving in, the hotel seems to sit uptop of a mountain almost like a big castle. 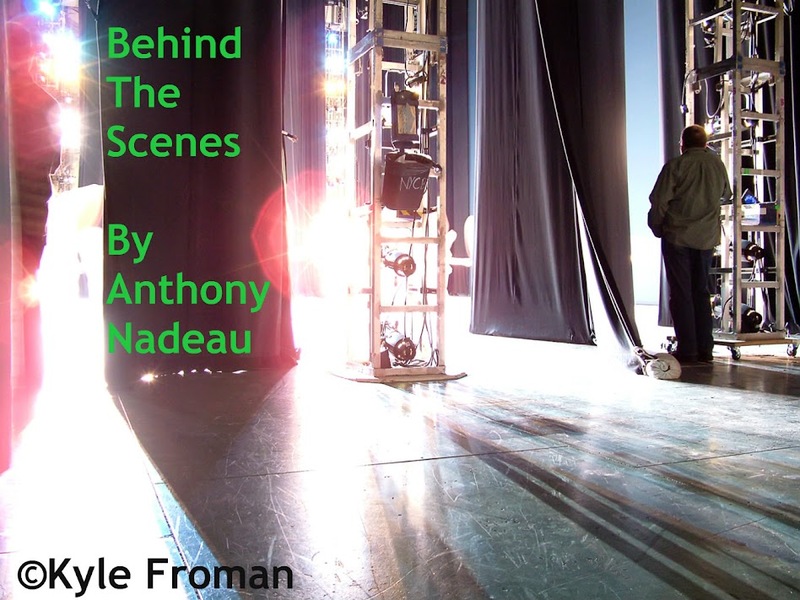 For me to try and explain what the film is really about could take me as long as the film itself, instead I offer you this little look into the making of the film. 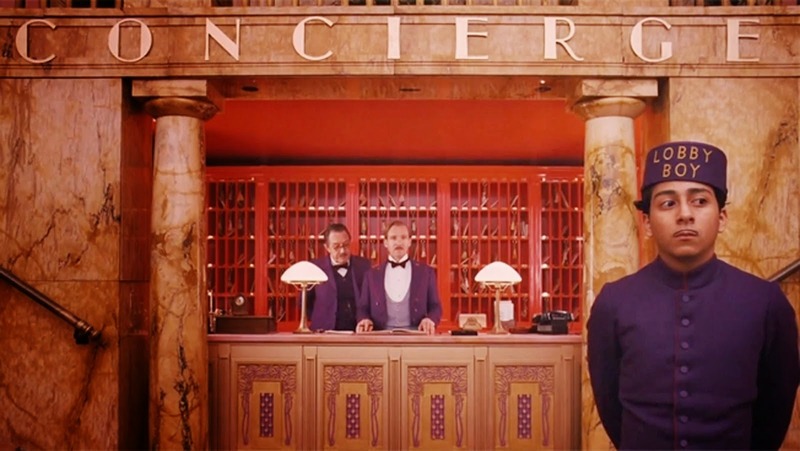 Wes Anderson's new film, THE GRAND BUDAPEST HOTEL, recounts the adventures of Gustave H, a legendary concierge at a famous European hotel between the wars, and Zero Moustafa, the lobby boy who becomes his most trusted friend. This is easily one of the most delightful films this year and yet one you must pay close attention to as things shift very quickly and all handled with great style as well, the editor either enjoyed cutting this film or it was a nightmare.